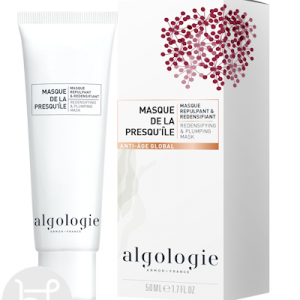 A rich velvety cream mask with a soft and gentle fragrance. Does not dry or harden. Not only does it comfort and nourish face and neck but it very deeply moisturises and plumps. This action leaves skin looking visibly younger. Gulf Stream Seawater: Rich in 96 minerals & trace elements to re-mineralise and balance the skin. Creates instantly even, smooth and luminous skin. Dictyopteris Oil: Stimulates facial adipocytes so as to plump the skin intensely. 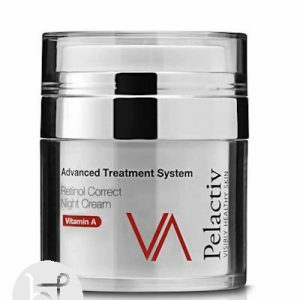 It provides a nourishing effect on our adipocytes so as to help restructure skin volumes. Volumes become captured, lips are filled out and the appearance of peripheral fine lines and wrinkles is reduced. Hyaluronic Acid: Outstanding, unequalled hydrating properties. So that features are plumped and the skin begins to look visibly younger. Tamarind: For longer lasting hydration. To help reduce the appearance of fine lines. 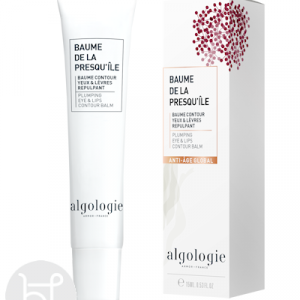 Salicylic Acid: It’s natural peeling effect will promote skin renewal and brighten skin. Easily and quickly absorbed releasing its contents without even a trace of oiliness and providing global action against all signs of mature skin aging. Hyaluronic Acid: Outstanding, unequalled hydrating properties. Chondrus Crispus & Laminaria Seaweeds: For an immediate soothing and firming effect and to stimulate collagen production. Anti-oxidant properties. Gulf Stream Seawater: Rich in 96 minerals & trace elements. Dictyopteris Oil: Stimulates facial adipocytes so as to plump the skin intensely. It provides a nourishing effect on our adipocytes so as to help restructure skin volumes. Volumes become captured, lips are filled out and the appearance of peripheral fine lines and wrinkles is reduced. It also helps to increase bust volume. Tamarind: For longer lasting hydration. APPLICATION Apply morning or night to face, neck and décolletage.